If you meet someone that pays a tax agent to do their taxes, you might begin to look at such a person in differently. You might think, this person is wealthy likes wasting money, or has a complicated tax situation. However, it none of that may necessarily be the case. Taxpayers can benefit a lot by hiring tax agents in Adelaide, and so many do too. You can take some steps yourself and secure yourself. If not, you’ll spend hard-earned money on an incompetent tax agent. Ensure that you ask the right questions and find an agent that suits the situation before you hire. Take time out to learn what exactly it is you desire a tax agent to handle for you. Right below are some of the many reasons why you may have a need for tax agents in Adelaide. You need to ensure that the tax returns are precise and accurate. It is time-consuming to prepare your taxes, or it is confusing and stressful. The tax situation you have is a little complicated; perhaps it is because something was different this year, and so you need professional tips and advice. You have encountered tax related problems such as settling a tax debt or filing back taxes. You require a detailed tax structuring advice for likely reasons. When you understand why you may want a tax agent, the next step will be looking for a competent one with the experience needed for handling the kind of tax situation like your own. For instance, if you are being audited, it would be unwise to seek the counsel of someone who hasn’t handled an audit in his career. 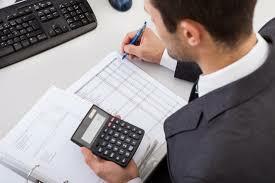 Below are some tips for getting good tax agents in Adelaide. And always keep in mind that individual, not the tax agency, is entirely responsible for any information that exists on the tax return. Referrals: this is one of the best ways. You can easily ask anyone for their recommendation. You could ask friends, family, other business owners, attorneys and even financial advisors. It can be beneficial to ask a person whose tax situation is similar to yours. Others will also try to steer you right if you tell them what you are looking out for. Watch out for tax agents who promise huge refunds. Look around for other tax agents in Adelaide and possibly change tax agents if you feel uncomfortable or dissatisfied. Some local firms have a specialization in the tax requirements of some individuals and businesses. But always ask about their capabilities and how they can handle your unique situation. It helps to understand the differences between various kinds of tax agents.